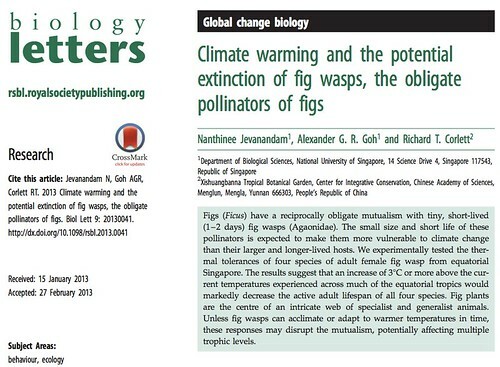 Nanthinee Jevanandam who recently graduated from her PhD studies, was pleased to announce her paper in Biology Letters on fig wasps and climate warming. Just as pleasing is news of her employment – Nanthinee is now working as an ecologist in the environment consultancy firm AECOM. Congratulations Nanthinee, live long and prosper! 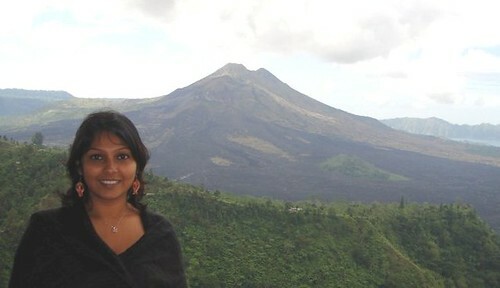 Nanthinee at Bali during an ATBC conference. SIF Technologies is a Singapore-based green technology company specializing in water treatment for the aquaculture and eco-friendly industry. They are currently seeking to hire a full-time Marine Biologist to lead scientific research and validation in the application of the company’s proprietary technology. 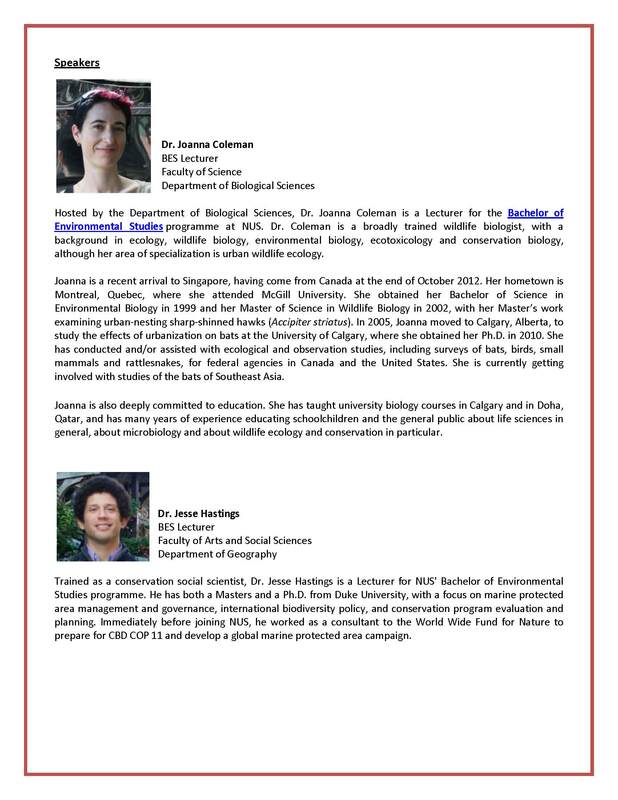 Bachelor of Science degree in marine biology, marine science, or related scientific discipline is required. A Masters degree is highly preferred. Minimum of five (5) years of direct industry experience in marine biology and/or environmental science. Strong scientific aptitude, self-starter, analytical mind and logical approach to problem solving. Good observation, documentation, and presentation skills. Serves as the scientific liaison with external parties. Plan and design scientific experiments independently and/or in teams. Develop test protocols, reports, and white papers. Perform data analysis and literature search. SIF Technologies is a Singapore-based green technology company specialising in water treatment for the aquaculture and eco-friendly industry. The founders of the company have more than 20 years of combined experience in providing customers with expert know-how in the area of chemical free water treatment. In 2004, the Singapore Economic Development Board (EDB) under the SEEDS funding scheme, took a strategy equity stake in the company. This investment is managed by SPRING SEEDS Capital Pte Ltd, a wholly-owned subsidiary of SPRING Singapore. SIF will continue to grow its base in Singapore and also expand into more regions to develop solutions that meet the challenges faced by various industries. For more information please visit our website at http://www.dpasys.com .